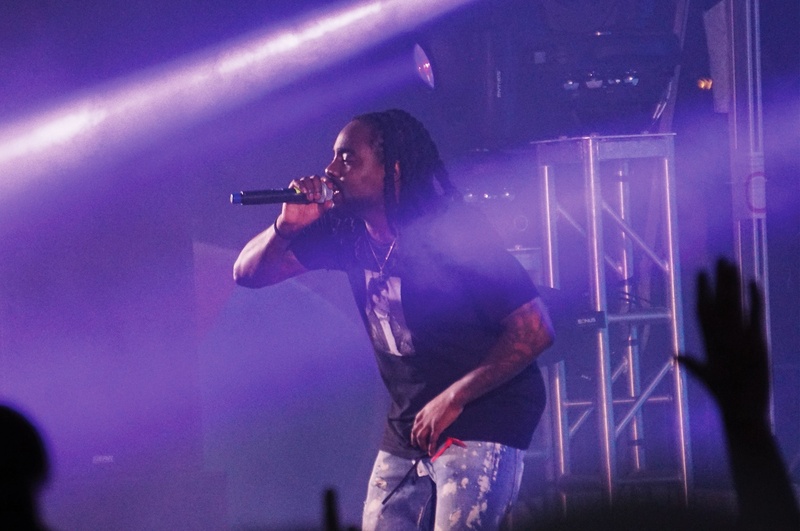 Twenty-five-year-old Washington, D.C. rapper Wale performs in front of a crowd of cheering students in Tercentenary Theater during Yardfest in 2018. The email also announced other changes to Yardfest that administrators said stemmed in part from the recommendations issued by a committee appointed by former University President Drew G. Faust following the arrest of a black Harvard undergraduate the night of last year's Yardfest. The incident drew allegations of police brutality and led some students to call on the University to improve its policies for the event. “Although they reflect the recommendations of the Review Committee following the 2018 Yardfest, the changes we are announcing today are also established best-practices for large-scale events on college campuses,” the email reads. Monday’s announcement informed students that the concert will take place on Sunday, April 7 at 3:30 p.m — a shift from the previous two years, when it occurred on a Friday evening. The shift back to a Sunday afternoon comes after more than 17 students were transported by ambulance as a result of their intoxication last year, overwhelming the emergency rooms at several local hospitals. The committee reported noted that first responder resources are "predictably pressured" on Friday and Saturday nights, prompting it to recommend that the College schedule Yardfest at another time. Administrators wrote in the email that dinner and water will be available in the Yard, and urged students to have enough to eat and drink over the course of the event. Per the committee’s recommendations, administrators also wrote that the College will not allow students to re-enter the concert venue. College spokesperson Aaron M. Goldman wrote in an email that the DSO decided to eliminate guest tickets in order to make the event safer. “The policy regarding guest tickets is being implemented in an effort to maintain a manageable capacity for this event and help ensure a safe and fun environment for all students,” Goldman wrote. The review committee’s other recommendations include adopting a no-bags policy, increasing the number of Harvard University Police Department officers at the event, and monitoring safety through a centralized Emergency Operations Center. HUPD spokesperson Steven G. Catalano did not respond to a request for comment Monday evening about security measures for the event. Goldman wrote the College will review the effectiveness of its new Yardfest policies after the concert. “Following Yardfest we will be evaluating all aspects of the event to help in our planning for future years,” he wrote. Yardfest traditionally features a prominent musical headliner invited by the College Events Board, which organizes the event; rappers Lil’ Yachty and Wale headlined last year’s show. The 2019 guest artist will be announced on Wednesday evening at the Battle for Yardfest concert, scheduled for 7 p.m. in Sanders Theatre.